 Global Trade management Market - Forecasts 2018-2025. The Trade management market is anticipated to grow with a CAGR of 10.2% during the forecasted period of 2018-2025 with a estimated revenue of 1050 million by the end of 2025.Global trade management market offers global trade to trading associates across the global scenario with no matter where they are trading and in which location they are associated in, global trade basically deals in trade with related traders around the globe. The global trade market can help to increase trade market and business in global market and with reference to this market developers can use cloud based models to reduce their total cost for the ownership by cutting down their cost which is associated with this market while installing their cloud related hardware that will support their global trade market solutions. The major advantage of this cloud based technology is to help their business to expand and to know their real time valuation and condition of trade process, which can help to expand trade in remote area and other interior locations. Small and medium enterprises are playing major role in the global trade market as they are doing business in only this specific area and they are expected to give a higher growth and can expand their business, SME’s are basically dependent on their manual records which they get from their global market cloud system record, and they can get traditional solutions by which they can manage their all trade related issues and how to manage their profit for better trade process. This trade process is necessary for trade business because small and medium enterprises have lack of awareness about global business and how they can initiate in global trade market, and for better trade opportunities they have limited budget for this government related to their counties or region can help them to develop or enhance their business, which will help them to develop their business further augmenting the growth of trade management market. The industry is seeming to be fairly competitive. Some of the leading market players include Agco Corporation, Amber Road Inc, Aptean Inc, Descartes, Integration Point Inc, Livingstone International, MIQ Logistics, MIC Customs Solutions, Oracle Corporation, Precision Software, Thompson Reuters Corporation and so on. The fierce competitiveness has made these players spend in product developments to improve the customer’s requirements.